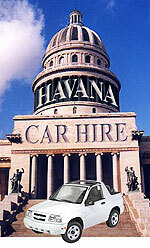 For any enquiries and purchases please contact Cubaism Sales on +44 (0)20 7498 8555. Please Note: The flight times are subject to change by the airline at anytime. Please check before departure. Day Flight No. LGW dep. HAV arr. Saturday flights are available from 1st December 2017. Day Flight No. HAV dep. LGW arr. Day Flight No. LGW dep. MAD arr. MAD dep. HAV arr. Day Flight No. HAV dep. MAD arr. MAD dep. LGW arr.